Apple's return policy doesn't include restocking fees, but why pay full price up front for an Apple Watch when you can get it for a trial period? 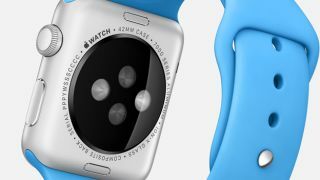 That's what tech gear rental site Lumoid is offering starting in April when the Apple Watch releases. The site generally lends out camera gear, but recently moved into wearables as well, charging a fee to let users try tech out for flexible rental periods. A "Home Try-On" period for the Apple Watch Sport will cost $45 (about £30, AU$60) per week, with $25 (about £16, AU$32) going toward the final purchase should you choose to buy it, while the Steel will cost $55 (about £36, AU$72) to rent with $35 (about £23, AU$46) toward your purchase, a support employee told us over chat. Unfortunately Lumoid is only offering rentals within the US for now, though. The helper told us that Lumoid has partnered directly with Apple to offer the wearable, but out of curiosity we've asked Apple what they think of all this and contacted Lumoid by email to learn exactly how it all works, and we'll update when we hear back.